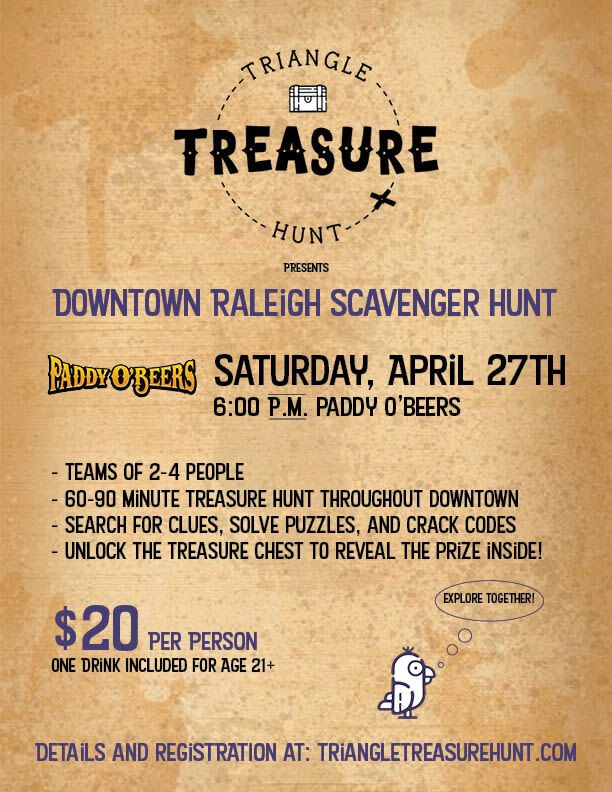 Guests will meet at Paddy O'Beers (121 Fayetteville St. #114, Raleigh, NC 27601) and then depart with their treasure map on a 60-90 minute scavenger hunt where they will use their minds and feet to follow clues, solve puzzles, and crack codes to find and unlock the treasure chest for a grand prize! Guests must be 21 years old. One drink will be included with each ticket. The hunt involves walking a distance of 1.5-2.5 miles in total. The team that finds and opens the treasure chest first will win a grand prize!